My Piano Phone is a music application on phone and tablet. 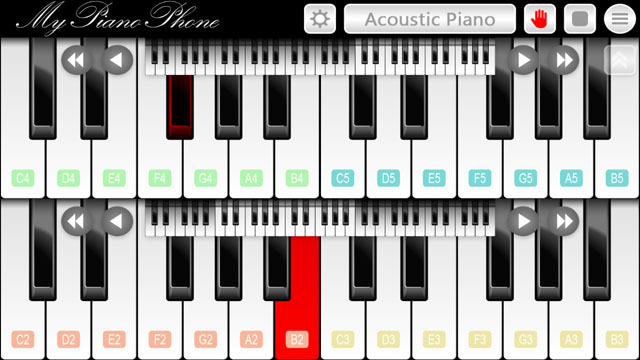 You can use musical instruments Piano, Guitar, Trumpet, Violin and Drum to play music with lifelike and realistic sound quality. Let's play it now! © Son Lam, 2013 - 2017. All rights reserved. Acoustic Piano, Electric Piano, Acoustic Guitar, Electric Guitar, Violin, Trumpet and Drum. 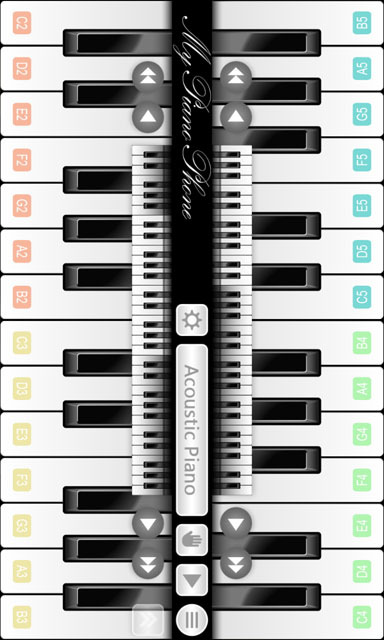 Full Piano keyboard with one or two bars and change the number keys on screen. 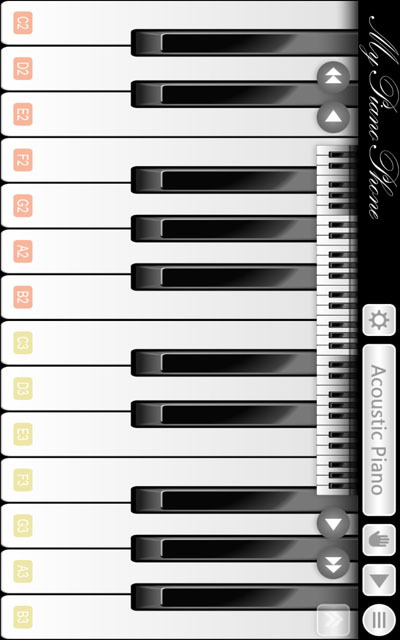 Sound emanating from this application are true music. It's lifelike and realistic sound. 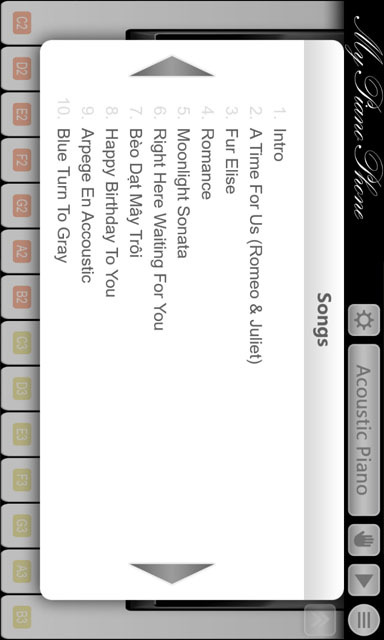 Many songs available in this app and music store is constantly being update. Phone and Tablet running iOS, Android, Windows and Windows Phone platform! A mini guide to your app with hot spots. Click on the icons to see more more details. Use this interactive carousel to guide users through your application showing as much as possible. 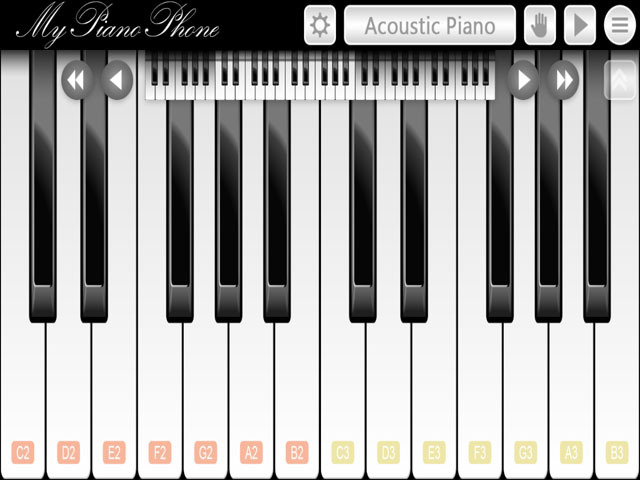 Click on any icon to immediately see the details. 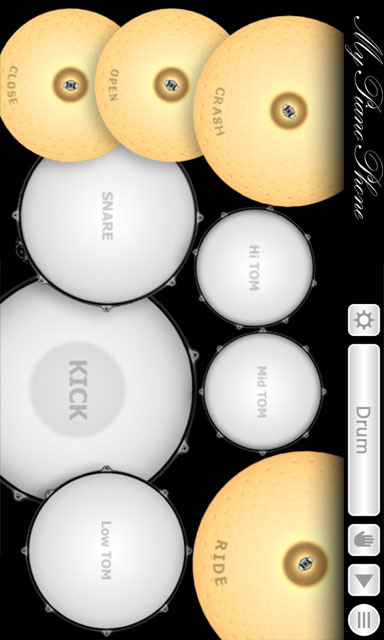 Drumset available in My Piano Phone. Applications have a simple design, ease of use is a trend. 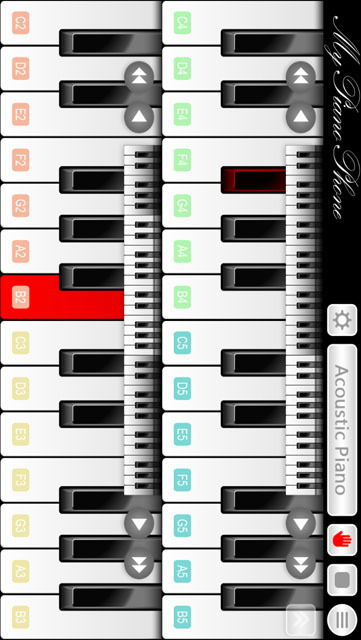 This application allows you to combining devices. Don't worry because all your devices will be available. Tablet Support for iOS, Android, Windows Phone. 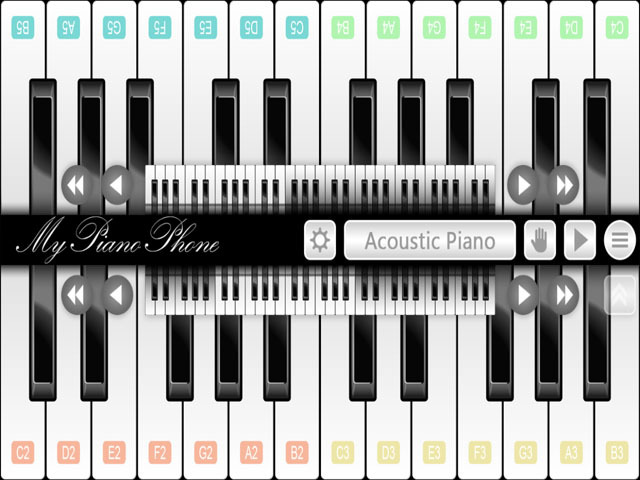 "My Piano Phone is the best Piano app for Windows Phone"